Description As coastal and regional conditions gradually normalize in response to a fading Blob and increased rain, the big question remains. Will the snow in the mountains stay there or come down prematurely and lower salinity in Puget Sound like last winter? Cascade snowpack is currently below normal. The El Niño at the equator is still brewing! 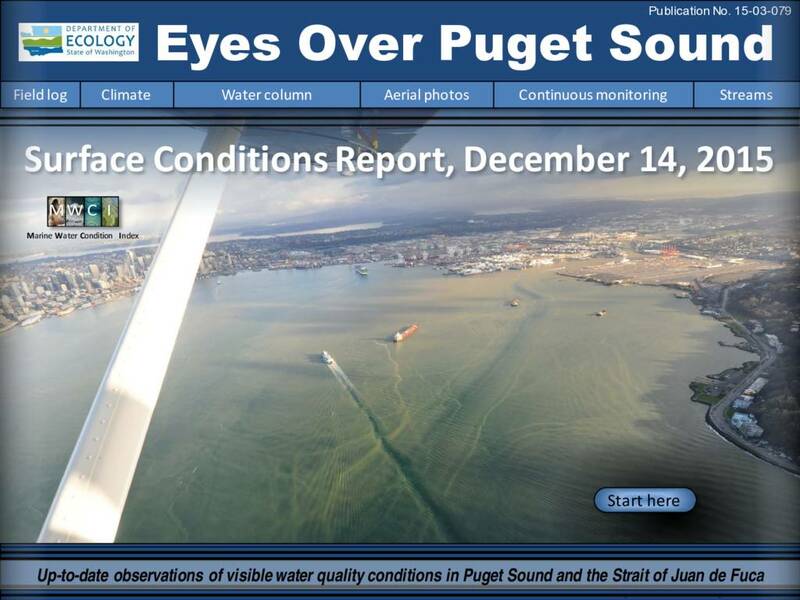 Major rivers transport large amounts of suspended sediments and soil into Puget Sound, also seen in our ferry sensor data. Our flight team gets in the pool for safety training.